Doctors in Belgium are pushing the limits when it comes to assisted-suicide and euthanasia, and the same problems could be coming to the U.S. Recently city officials in Ohio opted to remove a Ten Commandments monument and Nativity scene from public property following complaints from the Freedom From Religion Foundation. According to different news sources, the displays were moved to a church’s property nearby after the Wisconsin-based atheist group threatened to sue the City of Dover, Ohio. 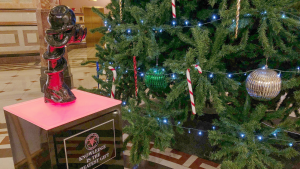 Meanwhile, in Illinois state officials agreed to let the Satanic Temple install a temporary monument in its capitol rotunda alongside Christmas trees and Hanukkah decorations. Courts have ruled time and again that states, cities, and counties can put up Christmas decorations. Christmas is a time-honored federal holiday as well as a religious one, and celebrating it doesn’t run afoul of the U.S. Constitution. Likewise, Illinois is free to set limitations on the types of displays it allows in its capitol rotunda. It could restrict permissible displays to those celebrating federal holidays or even certain winter holidays. It isn’t obligated to allow a satanic statue next to a Christmas tree. Courts have ruled against efforts to force these sorts of anti-Christmas decorations on states in the past. In fact in 2012 a three-judge panel on the Sixth Circuit Court of Appeals unanimously ruled that Michigan did not have to allow a sign in its capitol rotunda that was virtually identical to the sign the Freedom From Religion Foundation placed in Illinois’. Bottom line: There’s no need for officials to worry when it comes to celebrating Christmas. Photo Credit: Brian Mackey, NPR Illinois 91.9.